Two client- citizens the same day! 18 have received other immigration benefits: new or renewed Temporary Protected Status, work permits, and others. General Law Every Tuesday Bryan Jones, Esq. Real Estate Law Every Wednesday Doug Carter, Esq. Immigration Law 1, 2, 4th Thursday Doug Ford, Esq. To make an appointment please call (434) 531-0104. One pillar of Sin Barreras’ Mission is providing group services and workshops focused on Hispanic immigrant community needs, fifteen such events this year for over 1,200 attendees See the Annual Report for a full description. Meanwhile, immigration is the most important issue facing most of the area’s immigrant community. With the assistance of two local immigration lawyers, in 2018 Sin Barreras had four pro-bono volunteers providing immigration services; and we offered 289 immigration consultations, a 75% increase from last year. See Section I for some results from such consultations. As described in in more detail in the 2018 Annual Report, our involvement in Advocacy, our third organizational pillar, has taken on great urgency this year . The Albemarle County Regional Jail: Sin Barreras has been an active member of a community effort to lobby the Albemarle County Regional Jail. 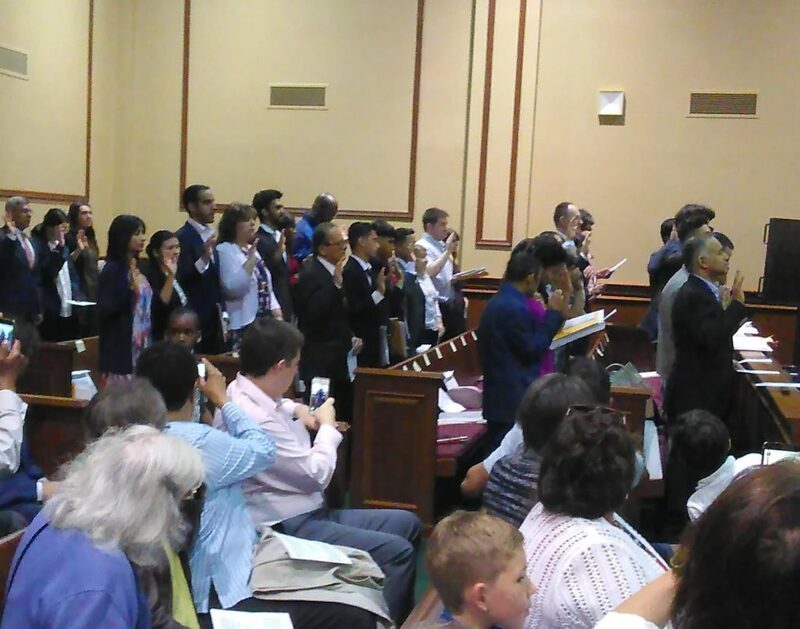 In January, Sin Barreras organized a “Visit-Your-Legislator Day,” to the Virginia Legislature, and 16 Charlottesville Hispanics accompanied Board members to present community issues to our lawmakers. Meetings with Local Political Leaders: During the year we hosted a meeting with Charlottesville’s new Mayor and Deputy Mayor. 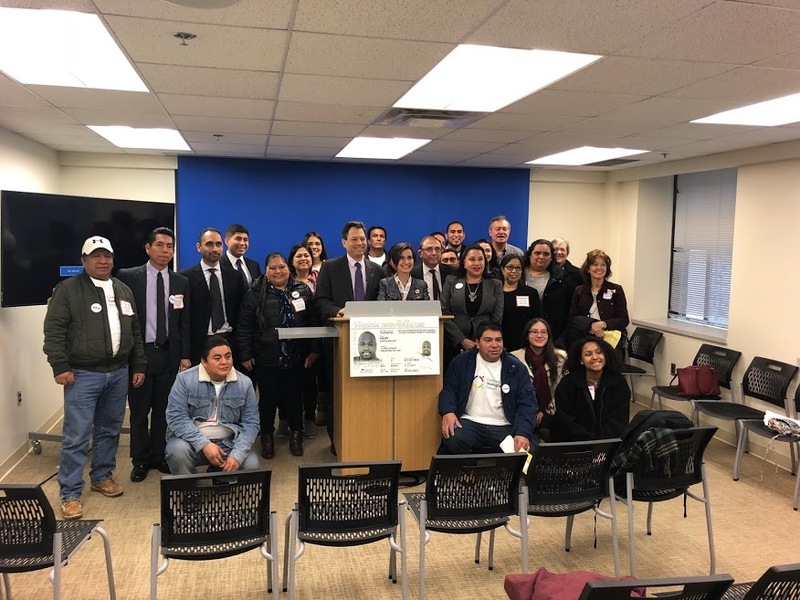 A month later, Sin Barreras participated with 35 Latino organizations in a meeting with Governor Northam. We and community members also met with our Virginia State Senator, the Honorable Creigh Deeds, and Delegate David Toscano in hour-long discussions on Hispanic community needs. 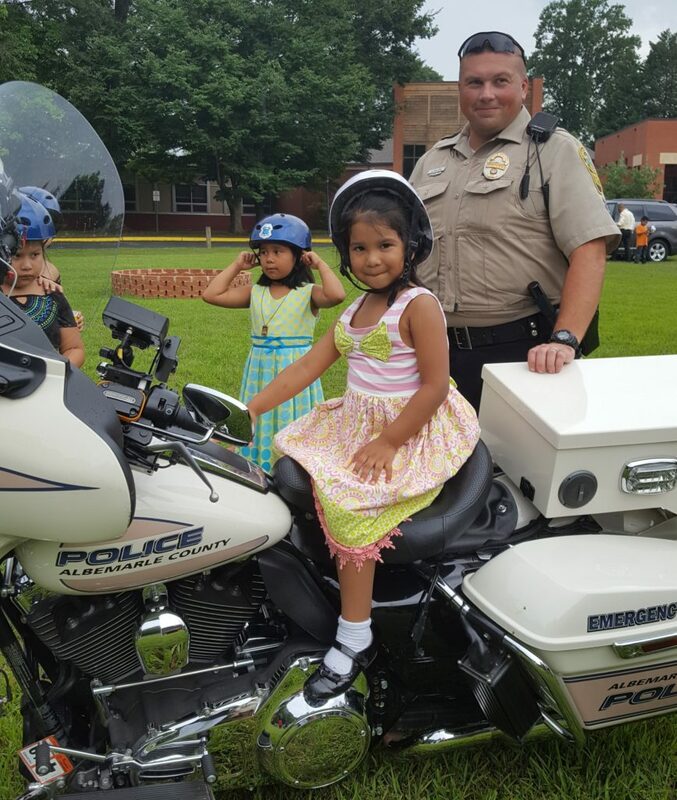 City and County outreach: We co-hosted several get-to-know-you events between the community and the Albemarle County Police Department. We also had a meeting with Police Chiefs of the ACPD and of Charlottesville city to present the Hispanic perspective on a number of issues. 24 hour Hot line: In 2018 we finalized the creation with other active citizens of a 24-hr hot line to observe and report on ICE abuses if ICE raids take place. The Sin Barreras telephone number is manned by volunteers 24-hr.a day. Public Information: From time to time, we present Hispanic issues to various group. 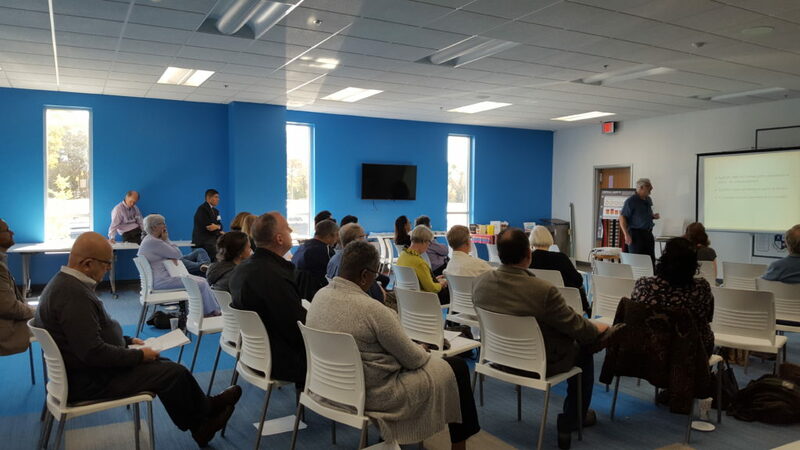 One was to seventy-five members of the Blue Ridge Rotary Club; another was to two Democratic Women’s Associations, of Fluvanna and Madison; another was to Merck Pharmaceuticals at its Waynesboro plant. We believe this is an important Sin Barreras role: to expose the wider (Anglo) community to Hispanic immigrant realities. Symposium: Sin Barreras hosted Charlottesville’s first-ever Symposium on the Hispanic experience. See the description of this event elsewhere at this website. Other Political Activism: We made a presentation at a Community Workshop at the University of Virginia, also participating in several protests at the Staunton Juvenile Detention Center and the Farmville Regional Detention Center, and against the Culpeper Police’s assuming ICE enforcement functions. We also carried out a presentation on public access T.V. 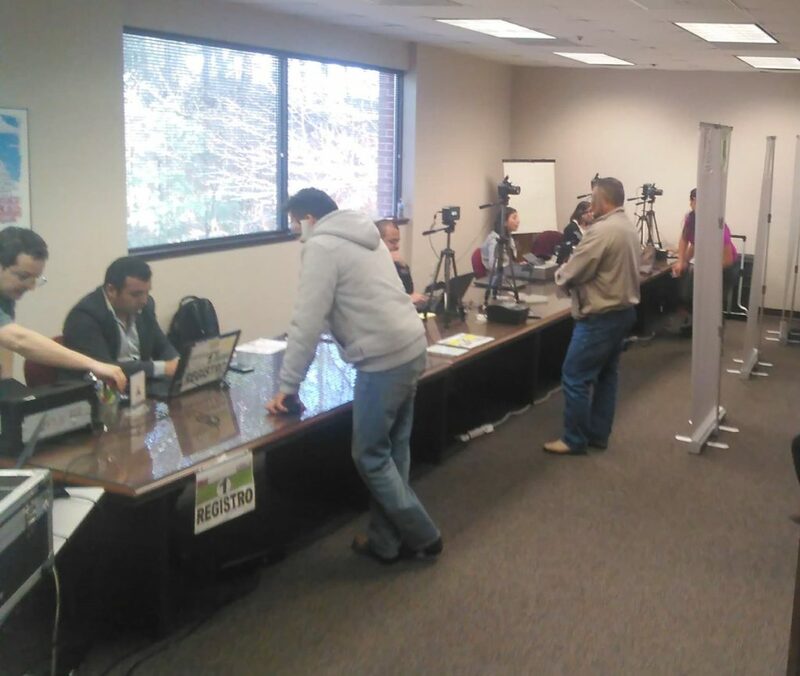 interview, an Immigration panel, several Sanctuary events, and the Virginia Coalition of Latino Organization’s (VACALAO) Fifth Annual conference – this year as one of its co-hosts.